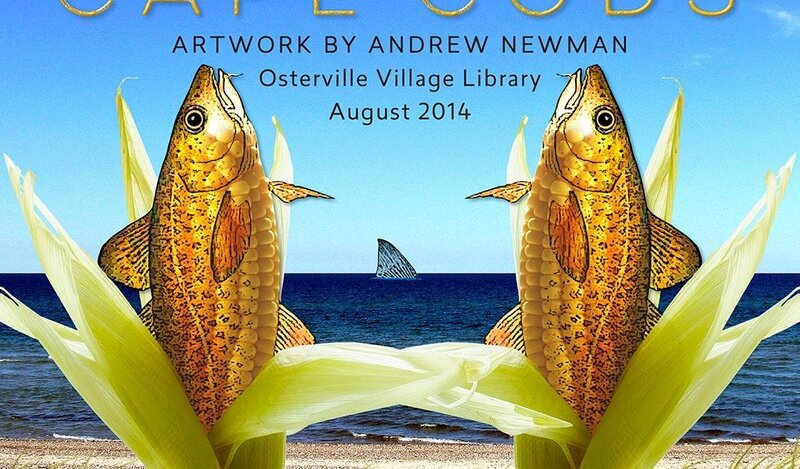 Graphic artist and longtime member of BARS who also designed and manages the BARS website and its social media is having a show titled CAPE CODS at the Osterville Village Library. More information can be found on the library’s site. The exhibit is in the hallway leading to the Carolyn Crossett Rowland Fireside Reading Room and in the History Room during the month of August, 2014. Library hours are M, W, F 9-5; T, Th 11-7; Saturday 9-3 and Sunday 12:30-4.